Disclosure: The following contains affiliate links. I call myself a curriculum junkie. 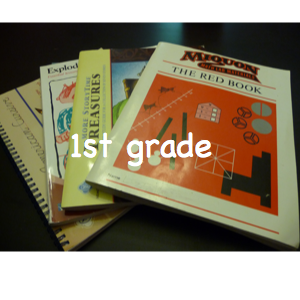 It started slowly when I first began researching homeschool curriculum. But my addiction grew with each passing year. I really LOVE to research new curriculum. And if I get a chance to see and review curriculum, well, that’s even better. 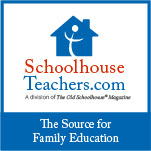 I was a member of the Schoolhouse Review Crew for several years and that kept me well supplied with new and different curriculum. But then life got busier. We had our 5th child. I started homeschooling my 4th child. And I had to cut way back on reviews and just focus on just using the curriculum that we had. This year was the year that my son was going to finish Latin 2 and be done. He’s not really that fond of Latin and we’re both ready to cross that off the list. But I found that he just couldn’t continue with the program that he was using. He hadn’t mastered the previous material, but it was a very disheartening prospect of repeating some of the course work he’d already finished. So I started looking for an alternative. How could he regain some of the interest in Latin that he had lost along the way? I had actually reviewed Visual Latin the previous year, but we weren’t continuing with it because the early part was on topics that my son had truly mastered. But then I took a closer look. The teacher, Dwane Thomas , is so funny. 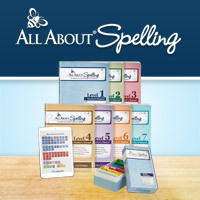 And the downloads with worksheets included are a fantastic price. Plus it was such a low risk, since I could order 10 lessons and see how it went. I have not regretted that decision. Visual Latin made such a difference this year. David worked through the lessons starting around lesson 20 and has almost completed the course. And he really does laugh while watching the lessons. After getting off to such a good start with Visual Latin, I had my eye on another course from Compass Classroom: Filmmaking from the First Directors. When they ran a Black Friday special, I bought it. The filmmaking class is still under development. The lessons are on-line. They include watching old films to learn the principles of filmmaking, then making short films. These films are uploaded allowing the class and instructor to make comments and suggestions on the assignment. This has been a wonderful class for David. He really loves photography and making videos and has taught himself a great deal. The class is challenging. It has been extremely challenging for David because he is very much of a perfectionist when it comes to his films. I have appreciated the added accountability for him to have to finish a project before he could move on. You do complete the assignments at your own pace so there are no official deadlines, but just having it as an official project does help. This coming school year, we’ll be adding another of Compass Classroom’s offerings: Economics for Everybody. I have reviewed that product and am excited to go through it again with David in the fall. Compass Classroom offers free lessons for all of these courses. You can click on any of the buttons in this post to download the samples. If you have have a student who learns well with video lessons, you should take a look at these. I highly recommend them! You can follow Compass Classroom on Facebook or Twitter and sign up for their newsletter to receive informative articles and notices of special sales events. We are wrapping up 1st grade for 6 year old Lizzie. It’s been a good year and she has learned a lot. Most of it was very relaxed learning. I’ve often remarked to my husband that it’s a good thing that God did not give me Lizzie first. If He had, I might be one of those people who gush about how wonderful homeschooling is and how easy it is. But I know that isn’t always so. Boy, do I ever. But with Lizzie being fourth in line with a couple of very needy kids ahead of her, (Needy in very different ways and for different reasons) it’s a good thing that she is very quick at learning and works well independently. (Mostly) She also is an independent reader which makes a huge difference in the demand for one-on-one instruction. Here’s the curriculum she used this year. ***This post contains affiliate links. If you make a purchase through one of the links, I will receive a small percentage. These are my favorite elementary math curricula. My oldest 2 children used this combination with great success. It didn’t work well for middle son because it was way too abstract for him. This is the first time I have used these books from Memoria Press. I have to say, I love these! I love them even more than I thought I would. I was afraid they would be too work bookish (they are work books after all! ), but I found them to have a wide variety of lessons based on classic children’s literature. They teach vocabulary, drawing inferences, basic grammar, elementary literature concepts, and more. I really, really liked them. This was a little too easy for her, but she likes workbooks sometimes so this was something that she could work on when she was in a big school mood. Plus, since she learned to read very easily, her phonics skills are a bit weak. I was sold on this in the Memoria Press catalog. I really like the idea of teaching cursive early. It made sense. It didn’t go super well though. This was one that needed a little more one-on-one time. And that’s it for formal schooling. We just didn’t get much of it read. But she lives in a house with maps and globes, we bird watch (and all the other animals in the yard), she plays outside, and we hike. Last summer we traveled across the country visiting state capitals along the way. She finds the shapes of states in her chips and crackers. I think she’ll be ok.
What’s on deck for next year? Mainly more of the same. We’ll be using the next levels of Singapore and Miquon Math. I’m purchasing the literature guides for 2nd grade from Memoria Press. I am also going to be starting her in Prima Latina. Handwriting I’m still undecided about. I think I want to continue with the New American Cursive. I may add in a print book from Handwriting Without Tears as well. I am hoping to go actually do some history and science with her next year. She’ll just tag along with whatever I use for her older brother…when I decide on that. And if I figure out how to work it into my day. I’m working on planning next year’s curriculum. Confession time, I’m almost ALWAYS planning next year’s curriculum. Maybe I should spend more time focusing on THIS year’s? David is in high school now. I worried and fretted about it for years ahead of time. But actually, it’s been a pretty good year. Maybe I shouldn’t have worried? Or maybe the worry helped? I love the freedom of homeschooling. I love being able to select curricula for all of my children and their own unique needs. 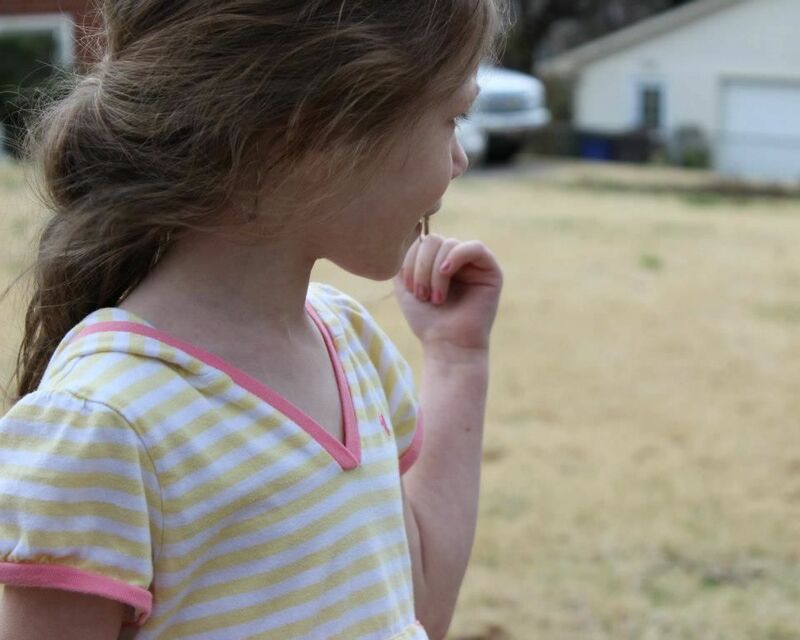 And while I love the general concept of delight-directed learning, there are certain subjects that we have to teach whether my kids like them or not. Needless to say, when I got the chance to review another of their products, Economics for Everyone, I jumped at the chance. I have not been disappointed. 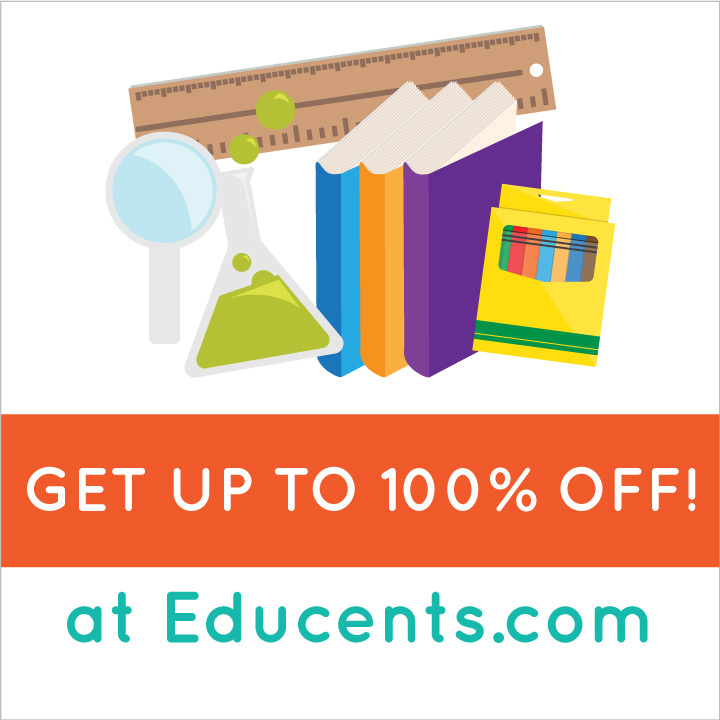 Economics for Everyone consists of 12 video lessons and a pdf study guide. The lessons are taught by R.C. Sproul, Jr. and just like everything else from Compass Classroom, they are engaging and fun. These are not videos of R.C. Sproul standing in a classroom, but instead include fun video clips from a wide variety of old movies. Economics for Everybody | Trailer from Compass Cinema on Vimeo. See what I mean? These lessons bring an often “boring” subject to life with simple explanations and excellent illustrations of economic concepts. I don’t actually think economics is boring. I even minored in it in college. This course is titled Economics for Everybody, but it is from an unapologetically Christian perspective. The whole foundation of the study is on man’s place in this world and how he was put here by God. I think the “everybody” is referring to the fact that R.C. Sproul, Jr. explains everything so well that “everybody” can understand. I would not consider this course alone to be sufficient for 1/2 high school credit. However, neither do the publishers and they have included a generous list of additional resources and even suggested texts to accompany the study. Disclosure: The links to Compass Classroom products are affiliate links. I received a free copy of Economics for Everybody in order to write this review. I was not compensated for this post. Opinions expressed are my own. I remember when all my friends started getting into the scrapbooking craze. I was recently married and working full-time. I loved seeing their creations, but I feared that once I started, I would never get a photo into an album again. I also didn’t like having to buy so much to get started, not to mention the amount of space necessary to store all the materials. So even though scrapbooking appealed to me in some ways, I avoided ever starting the hobby. Several years ago I started hearing about digital scrapbooking. I have pretty decent computer skills so I was intrigued. I tried using some generic print software to make scrapbook pages, but was never very successful making anything that I thought looked good. Part of the problem was that the generic program didn’t have all the elements of a “real” scrapbook. Plus using a generic program requires more skill and talent in designing than I possess. 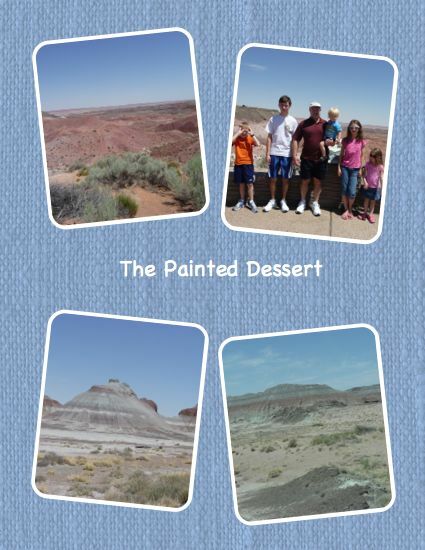 I was recently given My Memories Suite Digital Scrapbooking software to review. Wow, what a difference! My Memories Suite comes with TONS of pre-loaded scrapbooking templates. It also has many different styles of paper, embellishments, word art, shapes, and much more included. You can make a scrapbook page in seconds (literally) if you choose a pre-made template and just add pictures. Or you can let your own creative juices flow, and design your own. Here’s my very first page. I love the fact that you can sit down and work on your scrapbook without making a mess. Plus you don’t have to store all the scrapbooking supplies. They’re all there on the hard drive. With My Memories you can save and share your scrapbooks in a variety of ways. You can have your pages printed professionally, or you can print them yourself. You can share them on the web, burn them to a CD, or even put them on your iPod! You can even add hyperlinks, video, music, and narration to your albums! The possibilities are endless. Which really is the only downside to My Memories Suite. There are so many options, it’s hard to decide. In addition to all the stuff that comes pre-loaded with the software, there are also great templates and pages available at www.MyMemories.com. 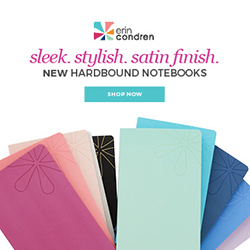 Pick 2 types of paper. Make 1 a background. Add 1 picture to your page. Mat picture with second paper. I made that one up, but you get the idea. I find them really helpful because it keeps me moving along and not getting so overwhelmed with all the possibilities. Plus it really helps to see other people’s creations! Here’s my first speed scrap page. I think the result is much nicer! I’ve definitely got lots of room for improvement though. Do you scrapbook? 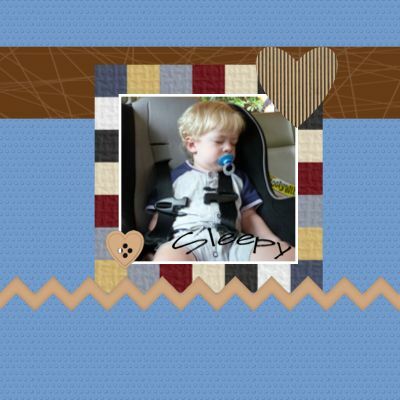 Have you wanted to try digital scrapbooking? Now is your chance! I have one extra copy of My Memories Suite to give away! Follow the instructions below to enter. When I hinted to my husband almost 2 years ago that I wanted an iPod Touch, I just thought they looked neat. I had some on-line friends who had them, and they said they were useful for school and reading e-books. So I kind of mentioned how educational they were. I really didn’t think he was going to buy me one, so I was shocked to receive it for Mother’s Day (and our anniversary) in 2010. I had no idea how much I was going to use it! But I am even more surprised at how much my 5 year old daughter uses it. There are so many great educational game and book apps for young children. I recently received a new one that has quickly become her new favorite. This app is very well done and is a big hit here! 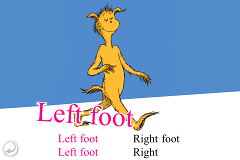 Visit Oceanhouse Media to see their collection of Dr. Seuss books, as well as hundreds of other apps for children. Disclosure: I received this app free in exchange for my review. All opinions expressed are my own. The world is on the brink of disaster and the clock is ticking. Iran has just conducted its first atomic weapons test. Millions of Muslims around the world are convinced their messiah—known as “the Twelfth Imam”—has just arrived on earth. Israeli leaders fear Tehran, under the Twelfth Imam’s spell, will soon launch a nuclear attack that could bring about a second holocaust and the annihilation of Israel. The White House fears Jerusalem will strike first, launching a preemptive attack against Iran’s nuclear facilities that could cause the entire Middle East to go up in flames, oil prices to skyrocket, and the global economy to collapse. With the stakes high and few viable options left, the president of the United States orders CIA operative David Shirazi and his team to track down and sabotage Iran’s nuclear warheads before Iran or Israel can launch a devastating first strike. Last Christmas I received a copy of The Twelfth Imam. I was admittedly skeptical at first. It’s quite a long book, and although I am interested in prophecy, I think that the End-times Christian fiction genre is a bit overdone. But it was a gift, so I started reading it. It didn’t really hook me until after I had completed the first 50 pages or more. But after that, the book suddenly didn’t seem so long. I knew it was the first of a trilogy, so I wasn’t too surprised when the ending was left wide open. But I knew I’d have to read the next book, and I jumped at the chance to review The Tehran Initiative. It picks up right where the first book left off and is even more action-packed and fast-paced. The “good guys” are likable, well-developed characters. The book, while most definitely fiction, contains great information about Islam and the Islamic view of the end-times. Reading fiction like this should give the reader a desire to learn more about the issues from other sources, and The Tehran Initiative has definitely sparked my interest in Middle Eastern affairs. Below is a link to a brief video by the author, Joel C. Rosenberg. Following that is a more in-depth interview. Disclosure: I received a free copy of this book for review purposes. I was not compensated for this review. All opinions expressed are my own. Post contains an affiliate link. A: Actually, I was well into writing The Tehran Initiative when the “Arab Spring” began and it was a little eerie because the novel opens with the assassination of the President Egypt and Egypt descending into chaos after the leader’s fall. Fortunately, Egyptian President Hosni Mubarak wasn’t killed, but he certainly fell quickly and somewhat unexpectedly and Egypt is still reeling from the aftermath. The novel really focuses a great deal on the intense desire amongst many Muslims in the Middle East and North Africa to build a global Islamic empire, or a “caliphate.” And that’s certainly a growing theme among the Islamists in the region this year.Perhaps what struck me most curious since the publication of The Twelfth Imam and while I was researching and writing The Tehran Initiative is that the so-called Supreme Leader of Iran, the Ayatollah Ali Khamenei, has began speaking more publicly about the coming of the Twelfth Imam. He used to be silent, or nearly so, on this subject. He let President Ahmadinejad do all the public talking about Shia End Times theology. But Khamenei has become more bold over the past year or so. He has told people that he has met personally with the Twelfth Imam, though we don’t know what he meant. Did he meet with a flesh and blood person? Did he see a dream? Or a vision? We don’t know. But Khamenei has also asserted that he is the personal representative on earth of the Twelfth Imam, as well as the so-called Prophet Muhammad. These developments – along with his support for Iran’s aggressive nuclear development program – suggest Khamenei senses the time is very short before some claiming to be the Twelfth Imam emerges publicly. In part, that’s why the Iranian government released the pseudo-documentary film in early 2011 called, “The Coming Is Near,” about all the geopolitical signs that they believe are indicators that the Mahdi’s arrival is increasingly close at hand. Whether it will really happen or not remains to be seen. But the Iranian leadership is certainly convinced. Most of them, anyway. And, of course, the Bible tells us in Matthew chapter twenty-four to expect false prophets and false messiahs in the last days. So we can’t rule out the possibility that we’ll actually as false messiah emerge from the Shia world. A: I think the biggest parallel between The Tehran Initiative and current events is the growing sense amongst Shia Muslim leaders – particularly in Iran – that the Twelfth Imam is coming any moment, coupled with Iran’s feverish efforts to build nuclear weapons, and the Israelis’ growing isolation in the world and feeling that they may have to hit Iran all by themselves.Did you see Iranian President Mahmoud Ahmadinejad’s apocalyptic address at the U.N. in September, or read the full text? You should. It’s instructive. Ahmadinejad is not a world leader worthy of the world stage. He is the evil leader of an Iranian death cult. A recent U.N. report indicates he is making progress in building nuclear weapons. He is calling for the arrival of the Twelfth Imam and wiping Israel “off the map.” He aspires to be a mass murderer beyond the scale of Adolf Hitler. He deserves to be in prison, or an insane asylum. His U.N. speech was further proof, if more was needed.Like Hitler’s speeches in Germany in the 1920s and 1930s, Ahmadinejad isn’t hiding what he believes. He’s pretty clear. He denied the Holocaust. He blasted the U.S. for bringing Osama Bin Laden to justice. He blamed the terrorist attacks 9/11 on the U.S. government. He insisted that his so-called messiah known as “Imam al-Mahdi” or the Twelfth Imam is coming soon. He insisted Jesus Christ will come with the Mahdi to take over the world. He called for a one-world government when he called for “the shared and collective management of the world.”Consider these excerpts: “This movement is certainly on its rightful path of creation, ensuring a promising future for humanity. A future that will be built when humanity initiates to trend the path of the divine prophets and the righteous under the leadership of Imam al-Mahdi, the Ultimate Savior of mankind and the inheritor to all divine messengers and leaders and to the pure generation of our great Prophet. The creation of a supreme and ideal society with the arrival of a perfect human being who is a true and sincere lover of all human beings, is the guaranteed promise of Allah. He will come alongside with Jesus Christ to lead the freedom and justice lovers to eradicate tyranny and discrimination, and promote knowledge, peace, justice freedom and love across the world. He will present to every single individual all the beauties of the world and all good things which bring happiness for humankind.”Though most world leaders do not appear to understand what Ahmadinejad is really saying, students of Shia Islamic eschatology or End Times theology do. The Iranian leader believes the end of the world as we have known it is increasingly close at hand. He believes the time for establishing an Islamic caliphate or global government ruled by the Mahdi is rapidly approaching. What’s more, he believes that the way to hasten the coming of the Twelfth Imam is to acquire nuclear weapons and use them to annihilate the United States, which he calls the “Great Satan” and Israel, which he calls the “Little Satan.”Israeli Prime Minister Benjamin Netanyahu understands what Ahmadinejad means. So do some of his top military advisors. That’s why they believe Iran is in the eye of a gathering storm in the Middle East, and that the chance of a major war is growing.“Iran has not abandoned its nuclear program. The opposite is true; it continues full steam ahead,” warned Israeli Defense Forces Home Front Command Chief Major General Eyal Eisenberg in a speech earlier this month. 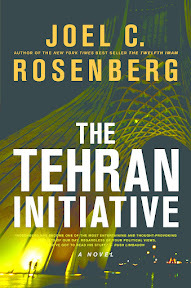 Also noting recent uprisings in the Arab world and growing tensions with Turkey, Eisenberg said, “This leads us to the conclusion that…the likelihood of an all-out war is increasingly growing.”To me, all this feels ripped from the pages of The Tehran Initiative. Unfortunately, it’s all true. God’s glory and serving God have always been the #1 priority of our homeschool and our lives. At least that is our highest priority on paper. I confess that it hasn’t always been my highest priority in practice. And there is a word for saying one thing and acting in a different way. It’s called hypocrite. It’s not hard for kids to recognize. They can see it much easier than I could see it in myself. And it’s so very dangerous. There were several things that I was “required” to read in the last month that God used mightily in showing me what my true priorities are. One of them is this little book: How to Have a H.E.A.R.T. 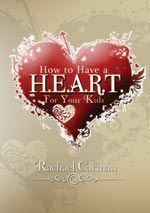 For Your Kids by Rachael Carman. Rachael begins the book with her own story of how she began homeschooling, and shares very openly the mistakes she made in trying to homeschool in her own power. She then begins to share 5 simple steps that will change your thinking about how your homeschool. She uses the acronym H.E.A.R.T. I learned so much from this book. Well, learned is maybe not the right word. I have heard much of this before. I just wasn’t doing it. I was failing at the very first priority. I have to have a heart for the things of God! No wonder my kids weren’t having a heart for the things of God. I have to be a living, breathing example to them. I have to be more transparent with them. I have to demonstrate walking with God to them in a real way. I have to be faithful to Him. If I preach that to my children and fail to do it myself, I am a hypocrite! I do not mean I have to be perfect. I also do not need to make my kids think I’m perfect. (That would be an impossible task anyway.) But I need to let them see my heart. And my heart needs to be focused on the things of God. 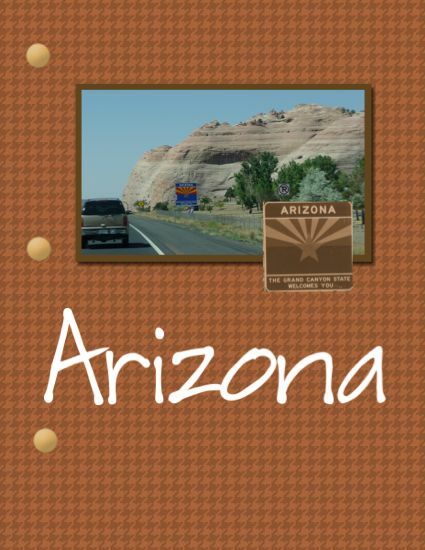 You can purchase this book from Apologia for $13.00. (Rachael and her husband Davis are the owners of Apologia Educational Ministries.) There is also a sample chapter available for free on the website. You can read more reviews of How To Have a H.E.A.R.T. For Your Kids on the Homeschool Crew blog. Disclosure: I received a free copy of this book as a member of TOS Homeschool Crew. I was not compensated for this review. All opinions expressed are my own. Everyone knows that dinosaurs lived millions of years before humans, right? If humans and dinosaurs had lived at the same time there should be some evidence and there isn’t…or is there? Are they a mythical creature that never really existed? Or could they be (or have been) real? 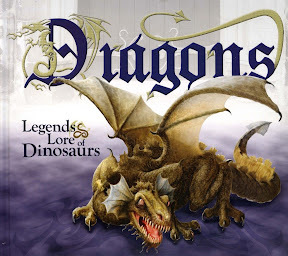 Dragons – Legends & Lore of Dinosaurs published by Master Books, seeks to answer these questions. This book describes various dragon legends from around the world and historical eyewitness accounts. It also shows where dragons are mentioned in the Bible as well as in several Biblical commentaries. From that description alone, I would be interested in reading this book, but I haven’t mentioned the best part. The sturdy, over-sized book is filled with flaps to open, envelopes containing removable documents, and miniature books. It is completely irresistible for a child! (I highly recommend keeping it out of young children’s reach for that reason. You’re not going to want this book damaged.) The illustrations are beautiful, and the text is full of interesting facts about both dragons and dinosaurs. My photo doesn’t do it justice, but does at least show some of the features of the inside of the book. The left flap is opened in the picture. In the upper right corner is a miniature book labeled Eyewitness Accounts and Encounters. It is a fantastic resource and I highly recommend purchasing it for your home library. 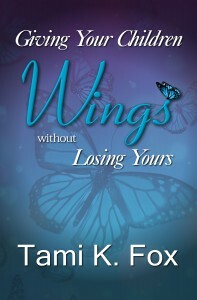 It is available for purchase from New Leaf Publishing Group, from on-line retailers like ChristianBook.com, or your local Christian book store. The retail price is $17.99. Disclosure: I received a copy of Dragons – Legends & Lore of Dinosaurs to review. I was not compensated for this post. All opinions expressed are my own. Wordy Qwerty is an on-line Reading and Spelling program developed by Talking Fingers. It is ideal for children ages 7-9 (2nd and 3rd grade) and is designed to follow the Read, Write, and Type Learning System. The characters, Qwerty and Midi, a computer keyboard and piano keyboard, guide the student through the activities. The overall objective of the game is to earn spheres to help Midi build a music machine. The child periodically sees the progress he is making on the music machine to provide encouragement. These activities are followed by a test of the words in the lesson. This test determines if the child is ready to progress to the next lesson. If the child fails the test (passing level is determined by the parent/teacher), he has to repeat the lesson. However, after a second failure, the child can move on, but is reminded that he can do the activities again to get a better score. Each of these rules is set to music to aid in retention. I tested this program with my 9 year old son. Although he is in the target age range for the program, he is at the lower end of the required skill level. Even though the program was a bit too challenging, he enjoyed it and often asked to play. He liked Qwerty and Midi and enjoyed most of the activities. He was frustrated by the writing activity. That required him to remember a whole line of a story and type it correctly. The program provides prompts when the child’s progress is too slow, but those exercises were still very tedious for him. He did not complete the Read, Write, and Type program though, so the typing experience might have been helpful for him in Wordy Qwerty. The Recycler game has the student pick out which of the two words is spelled correctly or if they both are. (See graphic below.) In the first lesson it presents words such as gale/gail, and male/mail. I’m not sure that I like this method for a struggling reader and speller. I can see the benefit for an average or above-average speller though. I know that I am a very visual speller and can spell most things by just knowing whether or not they look right. But I’m afraid that presenting the wrong spellings to a poor speller might be counter-productive. My son loves listening to music, so the songs for the spelling rules are a big help for him. I personally do not care for the songs, but musical taste is very subjective. I would urge anyone considering the program to look at the On-line Demo to try out the activities and hear a sample song. An on-line subscription to Wordy Qwerty lasts 5 years! Subscriptions are available for 1 to 5 users and range from $25 to $71.25. The Home Edition on CD is $35, but is not compatible with Windows 7. 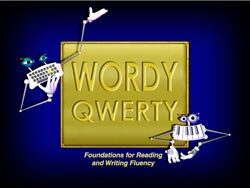 You can read more reviews of Wordy Qwerty at the Homeschool Crew Blog. Disclosure: I received an on-line subscription to Wordy Qwerty in order to write this review. I was not compensated for this post. All opinions expressed are my own.